About Hideaki K. Message Hideaki K.
As planned we were met at the designated location and he then took us oin a tour of an area we had not planned on seeing earlierand he was very knowledgeable. The area Kamakura is very interesting and we learnt a great deal about the area near to Tokyo. Delightful man-very well informed and accommodating. Highly recommended. Hide was professional and very kind to help us create a custom tour in Yokohama after our cruise, with a drop off at Haneda Airport. A perfect ending to our 2 week Japanese adventure. He is interesting and knowledgeable about many subjects and made sure we had all our questions answered completely. Excellent and enjoyable tour on a very hot and busy day. Hideaki is really friendly and helpful. The tea stop at the end is a great experience. I hate to say this, but I strongly suspect that both my younger age and non-European ethnicity had something to do with Hideaki's lax treatment of my tour. For the price I paid, I expected nothing but the best. I hope this feedback serves to be constructive for Hideaki such that the next time he has a client of my demographic he will think twice before not giving his 100% effort. Considering this less than stellar experience, I may consider choosing another tour company for my future travel needs. TOUR GUIDE RESPONSE: I do apologze from the bottom of my heart that I couldn't take close care of you as usual. Frankly speaking, I was not in healthy condition on that day due to extraordinary hot and humid weather which was unbearable for my age. Under such circumstances, I became inattentative and on reflection it seems to me that I couldn't do my best. I also am sorry if you feel some discrimination in age and ethnicity, though I treat client all alike. I'll improve the quality of my tour taking accout of your comment. Hideaki was a wonderful guide as we navigated the wonders of Kamakura. Having a car meant we could easily see places that aren't accessible from a standard tour and the air conditioning was welcome in the hot July weather. We happened upon a newly married couple at the onset, which started us off with a smile and ended our day at a serene temple sipping green tea as a perfect bookend to the day. His knowledge of the area was invaluable, and the soba lunch was perfect. Highly recommend. TOUR GUIDE RESPONSE: Thank you very much for your joining my tour and favorable feed back. I was very happy to have spent a pleasant day with such a lovely couple like you. Look forward to serving you again in the future. We really enjoyed our tour with Hideaki, he organised a tour that would fit into our limited time that we had in Yokohama. He arrived on time and was very pleasant, we loved the gardens that he showed us, the tea ceremony and the lunch he suggested. Hideaki's wife had also made origami cranes for us which was a lovely personal touch. Using tours by locals was so much better than a large tour company where you are rushed about with a busload of other people. Hideaki is a true professional. He collected us on time and was very informative and knowledgeable about the area of Mt.Fuji and Lake Ashi that we went too. We were able to stop and play in the snow which my wife had never seen before which was very special. Unfortunately the day was overcast so the view of Mt. Fuji was hindered. I accidently left my wallet in Hideaki's car and with constant contact I was able to retrieve it from him via an external guide company associated with the cruise ship I was on. Great tour. 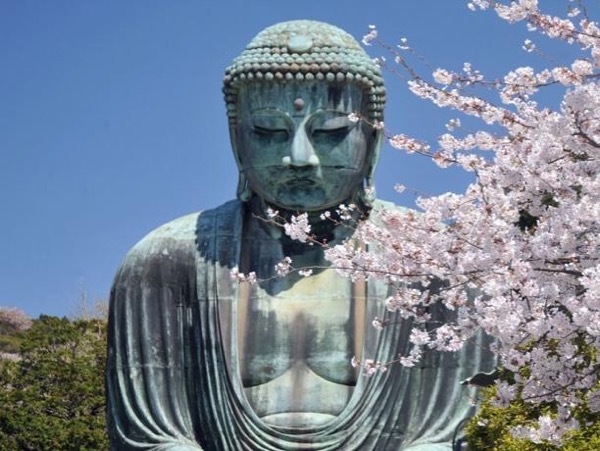 Beautiful Shinto shrines and Buddhist temples in a serene country setting. Hideaki was a gracious and professional tour guide. Very helpful. He was prepared to provide information at each place that was visited and had prepared information recorded about the area. Travel by air conditioned car was nice and efficient. Good email communication and planning. His English was easy to understand. He was at the train station to meet us as planned. Highly recommend this tour and the guide. TOUR GUIDE RESPONSE: I'm happy to learn that you were satisfied with my tour. It was my pleasure to have spent a wonderful day with such a warm hearted person like you. I do hope that you bring back unforgettable memories of Japan back home. Lok forward to seeing you again. Hideaki did a wonderful tour of Mt Fuji and surrounds for our family. We loved seeing the surrounds of Hakone and in particular Mt Fuji. Our children loved sledding at FujiTen while we enjoyed the Onsen and Mt Fuji views. Hideaki was a fantastic tour guide with a great car, wonderful English, very good driving great local knowledge and a lovely personality. He was very kind and patient with our two young daughters. A wonderful day we will treasure. We highly recommend Hideaki for your tour. TOUR GUIDE RESPONSE: Thank you very much for your praise. It was my pleasure to have spent one day with such a warm hearted family like you. I really appreciate your cooperation during the tour. I do hope you bring unforgettable memories of Japan back home. Look forward to serving you again. Hideaki was prompt and efficient. The tour was well planned out and he provided us with many thoughts about each place we visited well beyond what we have experienced with other guides. We never felt rushed and I feel we visited important sites. The afternoon tea after a busy day was especially appreciated. Hideaki is a treasure. TOUR GUIDE RESPONSE: Thank you very much for your praise. It was my pleasure to have spent one day with you and your wife exchanging conversation on our experience each other. I do hope you bring unforgettable memories of Japan back home. Look forward to serving you again. What a great start to our vacation! Kamakura is fantastic and Hide-san provided a casual, no-stress car tour that covered a variety of wonderful sites. TOUR GUIDE RESPONSE: I'm very happy that you could enjoy the tour with me at the start of your vacation. I hope you bring back unforgettable memories of Japan back home. Look forward to serving you again in the future. What a great tour . We had a wonderful day . TOUR GUIDE RESPONSE: I'm very happy that you enjoyed the tour to your satisfaction in such a fine weather. I do hope that you bring good memories of Japan back home. Look forward to seeing you again in the future. Hide-san gave us a perfect customized tour, highlighting the many perspectives of Mount Fuji, allowing great photos and an enjoyable day. Hide-san has an interesting background, speaks excellent English, and is very customer oriented. His vehicle is very comfortable for three, and maybe four, guests, and that made it possible to enjoy this activity. We appreciated his warmth and hope to see him again in the future. TOUR GUIDE RESPONSE: I want to express my sincere thanks to Jack for your favorable impression on me. It was my pleasure to have spent one day with you and your wife exchanging conversation on our experiences each other. I do hope that you could bring unforgettable memories of Japan back home. Look forward to serving you again. Hideaki was a most knowledgeable and accommodating guide who spoke English well. The tour was enhanced by traveling in his comfortable Subaru allowing more stops and time to share his knowledge of Japanese history and culture. Even though the Tsurugaoka Hachiman Shrine and the Kotoku-in and Hasedera Temples were crowded (school trip time), he included other less crowded sights, such as the bamboo garden, as well as an enjoyable lunch midday. We unequivocally recommend a tour with Hideaki. Excellent tour with a knowledgable and accomodating guide - very much appreciated.